A projector is a powerful device that makes our everyday life brighter, more colorful and much easier. It has become an important part of business meetings, scientific conferences and family evenings. Here are some tips to help you choose the best projector for your personal needs. There’s some difference between a projector for your home theater or office. 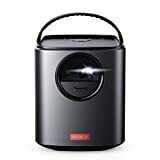 Of course, you can get a kind of universal projector that can cope with any task but still, you will find out that there is one function that it can do better than others. So, the best thing you can do in this case is to make up the list of tasks your new projector will do more often. This will help you to single out the category that suits your needs best of all. Projectors that are designed for home theaters will create a movie theater atmosphere in your house or apartment. They can simulate a dark environment like in the cinema, so it’s always better to set up such a projector in the special room. Home theater projectors have high image quality as well as the contrast ratio. Besides, if you get a high-grade reflective screen then you’ll be able to enjoy movies even in a partially or fully lit rooms. Except for movies such projector is suitable for photo slideshows and video games. Home theater projectors also have cooling systems that make their work almost noiseless. The only drawback here is that such an option makes projectors rather bulky and therefore not portable and sometimes not able to support inverted, i.e. upside-down, installation. Looking for such projector, pay attention to lumen ratings. If there are more than 3000 lumens you might be shown a multimedia projector instead of a home-theater one. The point is that some companies may sell restyled multimedia projectors in the category of home theater products. Another feature that may be a signal for being deceived is zoom that is shorter than 2x and VESA instead of HD video native resolutions, such as WUXGA or WXGA. Note that home theater projectors also have the highest prices. The best category for business purposes are data (multimedia) projectors. They are aimed at the presentations during meetings that are held not in complete darkness but in a well-lit conference hall. Business projectors are brighter than home theater projectors (from 2500 to 4500 lumens) and are perfect for the display of static images such as graphs. As their zoom range is shorter than home theater projectors have (1.2x to 1.5x), you should be more than just attentive when selecting one of such projectors. The point is that the screen size may be not always compatible with the projector’s throw ratio. Most of the business projectors are portable (they weigh from 3 pounds) and easy to set up. What is more, they have many inputs, so you can easily connect them to the laptops or Blu-ray players. There is also an option of wireless projection what makes them comfortable in use. This is a special category of multimedia projectors that are divided into the short throw and ultra-short throw. Short throw projectors aren’t usually provided with zoom lenses, while ultra-short throw projectors have a mirror onto which the image is projected first and only then it’s reflected on the screen. Ultra-short throw projectors are mounted to the wall very close to the screen (18 inches to 2 feet). As to the short throws projectors they are used in the classrooms together with digital whiteboards. If the main demand is a compact size of projector then it’s better to pay attention at pico projectors. Such projector will fit into your purse of briefcase. 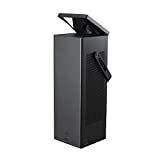 It weighs up to 3 pounds, so if you often have business meetings and trips that require slideshows and presentations, such projector will suit you perfectly. Nevertheless, a pico projector isn’t for business only. That’s a great thing for movie nights in the backyard where you can spend a good time with your family and friends. As it’s a portable product you can also bring it to your friend’s house and watch a movie or a sports game right there. Pocket-sized projectors have no cooling systems and use LED lamps. Their brightness range from 25 to 1500 ANSI lumens, and very often there’s lack of optical zoom. It means that their image size and quality can’t be compared with the home theater projectors. Projector’s resolution presupposes the total number of pixels that can be displayed. And remember the more pixels the resolution has the fewer chances you’ve got to face annoying squared images. What is more, the higher resolution a project has the closer it can be set up to the screen. Thus, most home theater projectors have high resolution. Still, the best thing here is to match the projector resolution to the resolution of the video source. For example, Blu-ray players support 1080p resolution while the image format of your laptop should coincide with the projector’s format. Standard formats with 4:3 aspect ratio are suitable for DVD-based films and TV episodes. SVGA (800×600) and XGA (1024×768) formats are good for PowerPoint presentations while SXGA+ (1400×1050) format is a nice option for photography and data graphics. As to the widescreen format with 16:9 aspect ratio, it’s an option for HDTV and widescreen DVD/Blu-ray. Besides, its WXGA (1280×800) is suitable for devices with a widescreen output. And if you are looking for an immersive image and real movie theater at home then you should have a look at the projectors that include cinemascope with 2.35:1 / 2.4:1 aspect ratio. But keep in mind that this one requires an anamorphic lens and a suitable screen. Another crucial factor that has a huge impact on picture quality is picture contrast, i.e. the difference between dark and bright parts of the image. The key issue here is that the higher contrast ration a projector can offer the more chances you have to define shadow details as well as white/black levels of the image. The contrast ratio is especially important for home theater projectors as they usually are placed in dark rooms, where contrast is much more noticeable than in light conference halls. By the way, some models are provided with several lamp settings to reduce brightness and increase contrast. 4K projectors with HDR capability are able to decode HDR-enhanced video sources (e.g. Ultra HD Blu-ray) and show the highest level of picture contrast. Light output, or brightness, is measured in lumens and the higher number of lumens a projector has the brighter image it can produce. Note that there are two brightness measurements you should take into account when selecting a projector. The first one is white brightness that shows the general amount of emitted white light without color measurement. The second one is color brightness that shows the brightness level of red, yellow and blue colors. Note that color brightness should be higher than white brightness because otherwise, the images can be dark and dull. 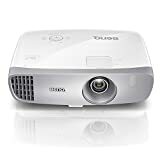 Furthermore, the size of the room is one of those factors you should always take into consideration when studying the brightness of your future projector. The point is that if you have a large room and it’s also well-lit then you will definitely need a projector with the greater number of lumens. Therefore, if you are buying a projector for business purpose high brightness is a must. As to the home theaters, high brightness isn’t so essential. This category of projectors usually has from 700 to 2500 lumens. This feature shows what width your image will have if you place a projector at this or that distance from the screen. It’s always important to calculate the throw ratio for projectors that are planned to be installed permanently. And if there are certain layout peculiarities that do not allow you to place the projector far enough from the screen then pay attention to the short throw projectors. This kind of projectors can be mounted very close to the screen. LCD (liquid crystal technology) is one of the main technologies used in projectors. Its key advantages include impressive color brightness and sharp images of detailed data graphs. Thanks to its brighter output LCD is relevant in well-lit rooms. Thus, most of the business projectors are provided with this technology. What is more, LCD is less noisy and has higher energy efficiency than DLP projectors. As to DLP (digital light processing) projector technology, it provides high color contrast as well as a smooth motion for videos. It can create a movie-like image from HDTV, DVD or Blu-ray sources too. DLP-based projectors are very popular with pico models that are well-known for their light weight and compact size. LCoS (liquid crystal on silicon) projector technology is mostly provided in top-notch models. That’s a kind of combination of all pluses DLP and LCD projector technologies have, such as a smooth video, immersive colors and brightness. LCoS may include 3LCD reflective technology, in which light is reflected from a silicone-/quartz-backed LCD panel instead of micromirrors. Lens zoom is especially effective for portable projectors. This feature will help you to adjust the image size and get a desirable result. The point is that you can’t always choose or change the screen size as well as projector placement. In such case, lens zoom is a kind of secret weapon. Note that not all of the projectors are equipped with lens zoom. Another feature that will help you to install your projector correctly is keystone correction. It presupposes correction of all distortions you face when trying to place a projector perpendicular to the screen. Keystone correction allows you to adjust the image digitally. Almost all modern projectors have this option. As to the lens shift, it’s available mostly on high-grade home theater projectors that are usually placed semi-permanently on the ceiling or wall. Unlike keystone correction, lens shift involves mechanical adjustment of the lens angle by shifting it up, down or sideways. The screen is an integral part of any projector. Of course, you may use a white wall in your room but it won’t show you the desired effect. Projector screens make the image look brighter and smoother. There are white and grey screens. White screens are usually paired together with business projectors as they have higher brightness level and that’s important for well-lit rooms, which often become the place for business meetings. Grey screens are popular with home theater projectors. The point is that they are aimed at a high contrast level and this factor plays a crucial part for 3D images. This type of screens can move up and down just at the light touch of a button. They make the control process fast and easy. Note that’s really great for those screens that are placed out of reach. Unlike motorized screens, these ones are permanently mounted on the wall and do not have any options of movement. So, if you’ve got enough space for the screen and it is a part of your interior design then a fixed screen is a good choice. If you don’t want a projector screen to become an integral part of your room and there’s not enough space for it then pay attention to a manual screen. You can use this type of screens only when you need it. By the way, it’s one of the most popular screens for classrooms as they allow using the same space for whiteboards. This category of screens is relevant for those who have a portable projector and need a portable screen. Such tripod-mounted screen includes tripod legs or a built-in stand for support. By the by, don’t forget to take into account a screen size. Before choosing a screen, remember to measure the ceiling height and decide what place will be the best for it. This Full HD home theater projector has advanced SXRD panel technology that is combined with Sony’s Super Resolution processing technology. Such combination results in a detailed image with subtle colours and textures. Sony VPL-HW45ES has 1800 lumens, high contrast ratio and 6000 hours of lamp life. 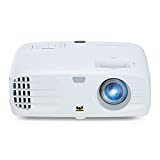 Although it’s more a home-theater projector it can also show a nice performance in well-lit rooms for business purposes. It is provided with MotionFlow technology, which guarantees minimal blur, and has the panel’s super-fast response rate. There is also a manual zoom lens with a 1.6x zoom ratio and wide lens shift range to make its installation a more flexible process. This is an example of best budget projectors you can find on the market. Epson VS250 costs less than $300. It will be a good choice for everyday PowerPoint presentation of graphics and different kinds of data thanks to its SVGA resolution (800×600). Epson VS250 has 3200 Lumens of color and white brightness. Besides, it includes 3LCD reflective technology what makes the image much brighter and more accurate. This cheap projector is well-compatible with all up-to-date devices and supports HDMI standard. Looking for a home theater? Optoma HD143X won’t disappoint you as it comes with a set of useful features to deliver excellent lifelike video quality. This 1080p projector has a wide color scheme and provides a detailed, sharp image with deep black levels. There is also a high contrast level as well as a combination of Reference Mode and RGB for image accuracy. Besides, there is rather good brightness of 3,000 lumens. It is designed with a flexible zoom and 1.47 – 1.62 throw ratio for easy installation. This allows you to adjust projector to different conditions and screen sizes. Due to the extended lamp life of 12,000 hours, this projector can last more than 10 years even if used intensively. Optoma HD143X is a great option not only for watching movies but also gaming as it can be easily connected to the gaming PC or console. By the by, it comes with a special game mode which optimizes all projector settings for gaming. This projector also includes 2 HDMI inputs, audio-out, 3D Sync port, 12V trigger and USB power input. Another great projector with cinematic effect is ViewSonic PX700HD. It comes with unique Super Color technology which guarantees a wide range of colors. What is more, its brightness level reaches up to 3,500 lumens. ViewSonic PX700HD has Full HD 1080p resolution and a high contrast ratio which means accurate and bright image in absolutely different conditions. This projector has a user-friendly and intuitive design, so you won’t face any difficulties during its setup or adjustment. Besides, it looks quite stylish thanks to its sleek white body. Note that ViewSonic PX700HD has great connectivity options which include dual HDMI and USB power inputs. It is also compatible with different devices such as media players, mobile devices, gaming consoles, Macs and, of course, PCs. ViewSonic PX700HD is a long-lasting projector with 15,000-hour lamp life in Super Eco mode. Thanks to its low 16ms input latency this projector delivers fast-by-frame action and as a result is a great option for intense action-packing gaming. Need a new projector for an affordable price? Then consider Nebula Mars II. This projector comes with 720p DLP IntelliBright technology which combined with 300 ANSI lm brightness provides crystal clear image. Sure, it’s not Full HD picture offered by ViewSonic PX700HD but it’s a great option for the product with a comparably low price. Nebula Mars II is designed with Worldwide Viewing. It means that this projector can work on almost any surface. It comes with the 1-second autofocus as well a manual horizontal and vertical keystone correction. Thus, Nebula Mars II can be easily adjusted to different conditions in order to get a sharp picture. Another great thing about this projector is its immersive sound gained through the dual 10W speakers. This projector by Anker is also portable, so you can easily change its location. Nebula Mars II supports Android 7.1 and allows using a phone as a remote control due to its Nebula Connect app. If you are ready to spend a fortune on a projector in order to get the cream of the crop, pay your attention to LG HU80KA. Though it’s an outrageously expensive projector it is designed with exceptional features to deliver an unforgettable experience for its users. LG HU80KA comes with 4K Ultra HD resolution, impressive 8.3 million pixels and 2,500-lumen brightness what guarantees high image quality even on the largest screens. Keep in mind that is suitable for 150-inch screen size. This projector has a home theatre effect with all its accuracy and rich details. Note that this LG projector is also HDR10 compatible and supports a wide range of colors. This powerful projector can be installed almost anywhere. What is more, it is portable and thus can change the placement easily. HU80KA also supports LG’s Smart TV. 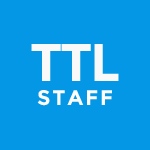 This streaming content platform is simple to setup and offers a variety of premium movies and TV shows. Besides, there is Magic Remote for easy navigation. You can also wirelessly screen-share videos using compatible devices such as smartphones or tablets. Here’s another high-grade projector from Optoma. Unlike HD143X this one is much more sumptuous. It has vivid and lifelike colors due to HDR10 support and impressive contrast level which guarantees good black level performance. This projector supports 4K UHD and has 2,400 lumens of brightness. Optoma UHD51A provides Blu-ray 3D compatibility. It also comes with a built-in media player and has Wi-Fi display support. Note that this projector includes HDMI 2.0 with HDCP 2.2 connectivity. Optoma UHD51A supports Amazon Alexa voice control which can be used to power on and off, switch sources, activate media player commands or adjust the volume. Besides, it works with Google Assistant. Thanks to the vertical lens and 1.3x zoom Optoma UHD51A is also easy to install and flexible to adjust. BenQ HT2050A is a Full HD projector that delivers cinematic experience for its users. It’s a highly responsive projector with an extremely low input lag of 16ms. There is also a set of gaming modes which makes this BenQ projector definitely one of the best for gamers. Note that it supports all popular gaming PC and consoles. This projector has 2,200 lumens of brightness and cinematic color technology which utilizes optimal colors in order to deliver a vivid and lifelike picture. There is also 6x speed RGBRGB color wheel and high native ANSI contrast ratio performance. Together they add details and accuracy to the image. By the by, this projector comes with Rec.709, the international HDTV standard. Note that BenQ HT2050A is suitable for big screens as it can project a 100-inch picture in 8.2ft distance. It has got flexible connectivity which presupposes compatibility not only with PCs but also Blu-ray players. There are two HDMI inputs, 3D Sync port, 12V trigger, USB power and audio-out. Its installation is rather easy and not time-consuming. Besides, BenQ HT2050A is designed with horizontal and vertical keystone correction. This projector is designed with 4K PR-UHD Projection Technology which utilizes hardware processing in order to get enhanced resolution. Such advanced technology results in one of the best home theater experience. Epson 4010 has also got a true 3-chip projector design. It means that this projector comes with high-grade 3LCD technology which is responsible for high-quality and accurate RGB color signal. What is more, such feature presupposes a full range of colors. There is also a decent brightness level which guarantees boosted image quality with no rainbow effects. Thanks to its dedicated 4K pixel-shift processor this projector delivers Full 10-bit HDR color processing. Its dedicated digital imaging processor provides lifelike 12-bit analog-to-digital video processing as well. Its Epson precision lens was created namely for zero-light-leakage. Due to this, the image preserves its clarity and edge-to-edge focus uniformity. Acer V6820i is also a great projector to consider, especially if you need one with good audio quality. This projector comes with two 5-Watt speakers what is quite enough for home theater. Note that it’s also a wireless projector, so if you can’t stand cables it’s one of the best projectors to consider. It’s an HDR compatible projector with 4K UHD resolution with TI XPR and 2,400 lumens of brightness. Acer V6820i is also equipped with 2 HDMI 2.0 inputs. Besides, it has an easy and fast setup. Last but not least projector on our list is Sony VPLVW295ES. It comes with exceptional features which are worth the money. What really makes it stand out from the other models is its image quality. Despite its comparably low brightness level of 1,500 lumens this projector delivers sharp and clear picture due to the range of the other not less important characteristics. This Sony 4K HDR home theatre video projector comes with Full 4K resolution and 8.8 pixels. Thanks to three SXRD imagers (Red, Green and Blue channels) it provides full color brightness which results in lifelike picture. There is also a decent contrast level which guarantees deep blacks. Its Motionflow is responsible for smooth picture even in 4K. Note that this Sony projector is compatible with IMAX enhanced content known for its unparalleled visuals. Besides, it comes with super-resolution Reality Creation which takes care of image sharpness. Sony VPLVW295ES is also 4K HDR 60p 10bit compatible. Its long-lasting lamp provides 6000 hours of watch time. In a word, there is a nice range of best projectors to choose from. Just remember to pay attention to the pre-cited features and options in order to make the right choice. Thanks for these best projectors. I respect your time that you invested to write this blog post. I see, you have selected projectors from popular brands so there shouldn’t be any doubts to their quality or performance. I admit that the price you pay may be a little higher than others but you get the value for the price you paid.